If there is a city that does not lack of thrift shops, it is Paris. We have drawn up the list of the top 10 to help you find your ideal thrift shop, where prices vary, fashion also, but where we always find wonderful things from the 60’s, 70’s, 80’s, and even the 90’s ! 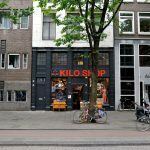 1 – KILOSHOP – Weigh your clothes and pay your kilo! Moreover, KiloShop is an eco-responsible store, since it collects clothes instead of buying new ones, to avoid for instance the surplus of water consumption that causes the manufacture of jeans. This chain of thrift stores, which has 3 in Paris, one in the 12th district, one in the 17th, and one in the 18th, is probably one of the cheapest. You can find everything: accessories, t-shirts and dresses for 5 euros, shirts, shoes … However, clothes are not always in good condition, so you should check what you buy. Le Coffre is probably the most recent in the thrift shop world, and houses a majority of second-hand clothing, but very clean, in good condition, sorted by color and style. This is what makes this place special. The price will be also fixed according to a color code, the articles classified in blue will cost 2 euros, in red 5 euros … Thus, it is easy to find beautiful pieces according to ones budget. Le Coffre has 2 shops, one in the 20th arrondissement, and one in the 17th. By Flowers is a shop in the district of Montmartre where you can really negociate a good business, provided that you make the effort to search because you can find very good items in the bottom of the clothes scattered, and go back there often, because the reassort is very regular. The prices are very correct, and you can in addition haggle with the seller, thing you can not do in another thrift shop. The Rag and Vertiges thrift shops are allied to make you benefit from a wider selection of items, which include pieces as interesting as the others, even vintage lingerie. At Rag, the success is due to boots because of their wide choice. You can clearly find everything, including designer clothes for which prices range from 5 euros to 400 euros! Located in the 4th district, they are close to the metro station “Les Halles”. In the Marais, after your shopping at KiloShop, you can go to the three Free’p’star shops, real caves of Ali Baba. Prices range from 5 to 60 euros. There is a lot of choice, and at your disposal a “1 euro tray”, where, as the name suggests, everything cost 1 euro. It is not unusual to find Levi’s 501 jeans for 10 euros! Free’p’star is not only a thrift shop, it also houses art events. 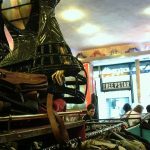 This shop in the 2nd district of Paris is a must-see for Parisian thrift shops, and offers a wide selection of second-hand clothes in 600m², plus a collection of new clothes. You will not really be able to make bargains in terms of price, as it is more like a vintage shop than a thrift shop, prices are much more expensive. But the items are made with very good quality and the choice is so wide ! 8 – LA PETITE FRIPE – Not so small! La Petite Fripe (11th district of Paris) is a real shoe box. Before being a special shoe shop, it was a thrift. Today, it offers a wide selection of vintage shoes, boots, platforms, pumps, ankle boots … Repackaged to the taste of the day. Episode is a thrift that does not have the characteristic of being a mess, like the others. It is well organized, tidy, it is all that maniacs among vintage clothing amateurs want. The prices are correct, especially for shoes. And thanks to the old stocks that have not been runned out, you can find at good price new pieces. 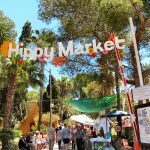 True den of the clothes fans of the 70s, Hippy Market does not hide its success: it has 12 shops in France, and one in Paris, rue du Temple (4th district). There are several tens of millions of tons of clothing that are collected every year, and cleanliness and authenticity are at the rendez-vous. Well-kept, the shop will make happy the most enthustiasts, although a little more expensive, you are sure to buy quality. Travel WiFi, a cheap, unlimited WiFi on the go!